Why Is Panchakarma Treatment An Important Health Need Today? Human body is like a machine. As the machine needs cleaning and lubrication from time to time to improve the efficiency and quality, body also needs some purification or de-toxification. According to Ayurvedic experts, complete cleansing of body through detoxification process restores optimum physiological functions and reverses the pathological conditions if any. The nutrients reach their desired destinations easily and their bio- availability is enhanced. Similarly the medicines administered in Samsuddha Sarira (purified body) reach their sites easily and effectively and possibly even a relatively smaller dose of a medicine may produce greater effect. Panchakarma treatment is one of the most important therapies in Ayurveda that causes total detoxifcation of vitiated doshas from the body. Ayurvedic therapies are mainly classified in two categories, Shodhana (Purification therapy) and Shamana Chikitsa (Alleviating/ Palliative therapy). The main aim of Shodhana Chikitsa is to eliminate the vitiated doshas (internal causative factors) from the body which causes disease. It is an important process in Ayurveda and is an internal purification process. Panchakarma therapeutic procedures are used to facilitate the elimination of harmful factors through the five processes namely Vamana (Therapeutic emesis), Virechana (Therapeutic purgation), Basti (Enema therapy), Nasyam (Nasal installation of medicine) and Raktamokshana (Blood letting therapies). Body is prepared for the upcoming Panchakarma procedure by the administration of internal medicines and some external procedures like Abhyangam, full body massage. The Shodhana therapy (Purification therapy) of Ayurveda is a unique concept. It envisages not only the visceral cleansing rather it aims at the total bio- purification up to molecular level. A suitably administered detoxification treatment such as Panchakarma not only cleanses the organs and systems but also goes to the cellular levels to purify the cells, cell membranes and their pores. Acharya Charaka, referred to as the Father of Indian Medicine has recommended implementation of Panchakarma in healthy persons, as a daily regimen and a regimen for specific seasons change. Each treatments mentioned in Panchakarma procedure has a specific benefit in different seasons. For instance, in Varsha ritu (Rainy season), Vata dosha is vitiated and hence Basti therapy (enema) is advised. In Sharat ritu (autumn season) pitta dosha is vitiated and hence Virechana & Raktamokshana therapies are advised. In Vasanta Ritu (Spring Season) the kapha dosha is vitiated and hence Vamana & Nasya karma are advised. Similarly in Atura or diseased persons depending on the vitiated doshas the Panchakarma therapy suitable to that condition can suggest by the doctor. 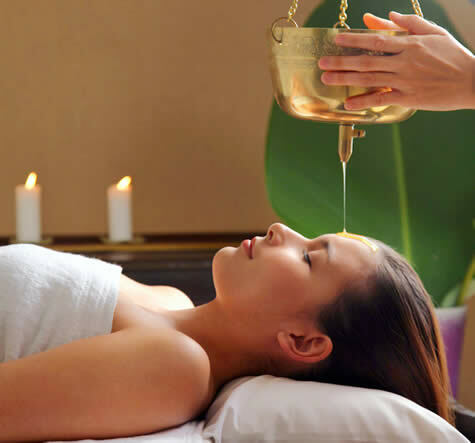 Panchakarma is one of the most effective healing therapies described in Ayurveda. It has several beneficial effects on human body and mind. Modern world is full of tensions and turmoil. The technology in the modern world is however a double edged phenomenon, it has made our lives easier but at the same time has given rise to a lot of stress in life. Today almost every working professional reports one or other stress induced health issue such as mental stress, pain, skin problems, sleep problems, etc. Panchakarma is a gift of wellness offered by age-old Ayurveda to the modern world. Here is how Panchakarma helps one to solve common health problems. Toxins are all around us. We breathe toxins through polluted air and ingest it through unhealthy food. A high level of free radical toxins in the body is a precursor to several lifestyle disorders one has to face in the modern world including diabetes, heart disease and cancer. Panchakarma is a complete de-tox therapy that eliminates the accumulated body toxins and eventually reduces the risk of several illnesses. According to acharyas the Panchakarma therapies can be administered to healthy persons (Swastha) and as well as diseased persons (Atura). This is one of the most important benefits of Panchakarma. It can restore optimum health in people who are healthy or reduce the underlying pathology of an illness among people who are diseased. Gastric problems are becoming increasingly common today owing to the level of stress and unhealthy eating habits. According to a survey in India 14% of urban population suffers from constipation problem daily. Panchakarma offers basti treatment which is an Ayurvedic enema that helps to cleanse colon. Other treatments in panchakarma such as vaman or virechanam reduce the vata vitiation in the abdominal cavity and reduce changes of gastric problems such as gastric discomfort and acidity. Acne breakout is a major concern especially among youth and young working professionals. Experts relate high levels of toxins in the body to acne breakouts. Panchakarma treatment play an important role in eliminating the body toxins and thus reduces the chances of acne and other skin problems. Did you know in India nearly 75% of working professionals under age of 40 are report being highly stressed. Panchakarma includes treatment like Nasyam that includes instillation of herbal oils or medication in the nasal cavity. These medicated oils or herbal decoction reach the brain create mental calmness. Nasyam is an important therapy that helps to achieve mental relaxation and also reduce sleep problems. NuAyurveda is a chain of Ayurvedic clinics that follows a holistic treatment approach. All the treatments offered at the clinic are tailored as per individual’s health needs and lifestyle. NuAyurveda is a place where modern science is combined with traditional wisdom to create the best treatment one needs today. Visit www.nuayurveda.com to know more.